Surface mounted BIA-INOX45S2MPCX jet pump and Rainsaver M4e electronic Changeover valve with 12V low voltage float. 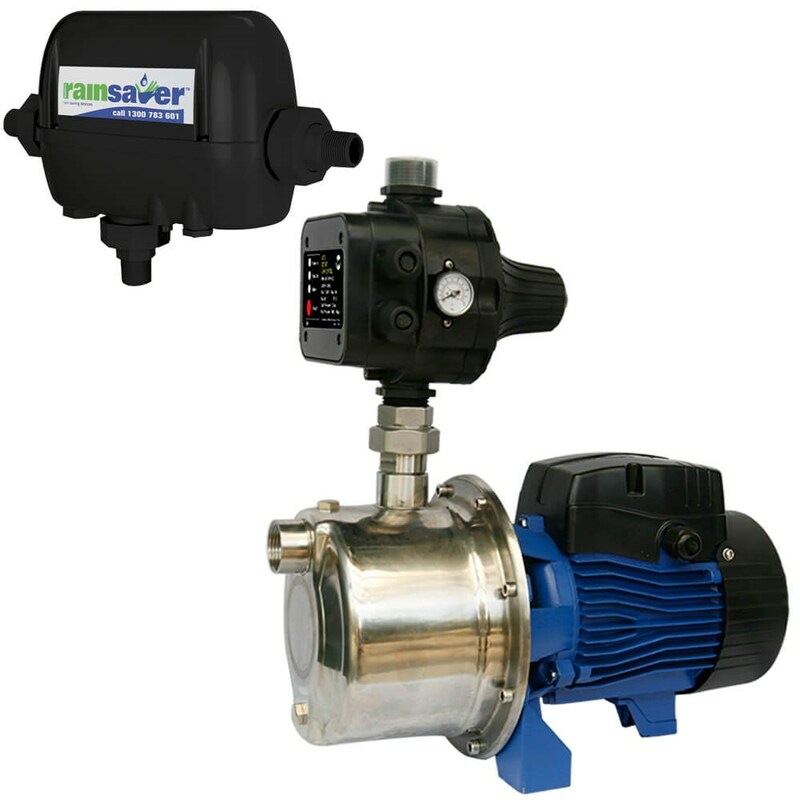 This external pump & Rainsaver package is ideal for granny flat installations connected to toilets & a garden tap. It is also suited to a small single storey home with 2 toilets.